Connect your Nintendo 64™ joypads to your PC USB port. Really plug and play, it makes your PC a real gaming platform. Connect RJ45 port to your Ultrabook, notebook, or MacBook Air for file transferring, video conferencing, gaming, and HD video streaming. Type: LAN adapter. 1 x USB 3.0 LAN Adapter. Specifically designed for Nintendo Switch Console but will work with any device with a USB 3.0 Port. Super Smash Bros, Super Mario Odyssey, The Legend of Zelda, Pokémon, Mario Kart 8, Splatoon, Super Mario 3D World, Bayonetta 2 and so on. It support vibration also, when you need vibration Just plug the gray USB to console. Its that simple! Just Plug n' Play no extra drivers needed! 3rd Party, Not original. Platform: All Windows and Mac Computers. Adapter is NOT Wireless. This cable is included with standalone A40 Headsets and A40 Neon Series Headset MixAmp Pro Bundles. The inline mic has 2 settings - A to enable the A40's microphone, while B enables the inline mic in the cable itself. 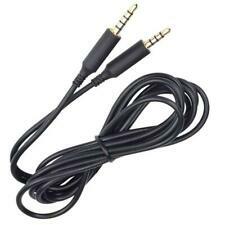 This also works with PCs and Macs with a combined mic headphone 3.5mm jack. This will also allow you to connect your Astro A10 headset with your compatible Android or Apple smartphones with 3.5mm jack. New ListingAC Power Adapter for PC Engine DUO Console. PAD-125 OEM NEC Official USA Seller. AC Adapter for PC Engine DUO Console. Warranty Information. Install the original base of the Switch on the HUB base; 2 plug the USB 2.0 data bus into the original base USB 2.0 data transmission interface; 3 use the 5V 2A power adapter Micro USB interface to connect to the power input port, you can use it normally. 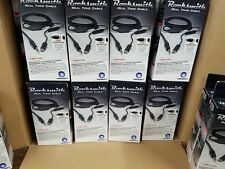 New ListingAV Cable for PC Engine DUO, Core Grafx Consoles. OEM NEC Official. USA Seller. 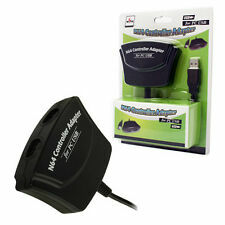 Compatible with PC Engine DUO/R/RX, Core Grafx I & II, Shuttle, SuperCD Consoles. and Other NEC Consoles. AV Cable for PC Engine DUO. It's the only way to play! Nintendo Wii Remote Expansion Port. NEC PC Engine / TurboGrafx 16 (Full/Mini). Atari Jaguar. DH15 (Atari 5200, SNK Neo Geo AES). Sega Dreamcast. Sega Saturn. 1 Type C to HDMI Cable. Cable Length: Approx 1.8 m/6Feet. You may also like. Fast data transmission and stable signal. Color: Black(As pictures show). LD ROM, PC-Engine Shuttle. Turbo Duo PC Engine Duo, DUO-R ,RX, Core Grafx I II. 1 x Adapter. (4) Local pick up is not available. Simply plug in and install the driver. Easy and convenient to use, simply hot-plug the PC USB socket and install the driver, works perfectly. Support both digital and analog mode. - All products is subject to 1 month - 1 year warranty period, otherwise it will be specified in item ads. 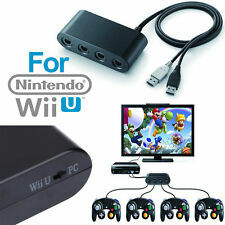 Really plug and play, it makes your PC a real gaming platform. 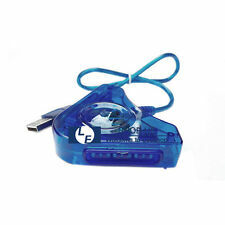 - Compatible with Windows XP, Vista, Windows 7/8,32bit and 64bit and Mac OS. - No driver needed, just plug and play. - Two players can play simultaneously. Really plug and play, it makes your PC a real gaming platform. Output DC 10V 1000 mA. 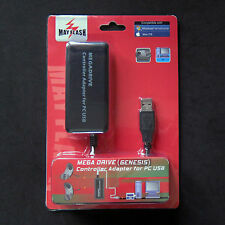 NEW Mono Audio Video Cable Compatible AC adapter for the PC ENGINE DUO Console. Input AC 110V 60Hz. NON CONTINENTAL USA AK / HI / PR / APO / FPO / & OTHER US TERRITORIES. Cables are compatible PC & MAC. Also works for Mac OS X or above. Two players can play simultaneously. Two players can play simultaneously. But if you want pursue speed in gaming or HD video online, 5Ghz is a better choice. Easy Installation & Special Standing Base: Setup CD included. Just run the software, and you can simply insert the adapter to get connected. NEW Mono Audio Video cable for the PC Engine Duo System console. NON CONTINENTAL USA AK / HI / PR / APO / FPO / & OTHER US TERRITORIES. Size : 8.5 x 7 x 2 cm ( USB Cable length: about 55cm ). Plug and Play. Plug in and play with the Onn DisplayPort HDMI Adapter. This HDMI adapter allows you to adapt your devices so they are compatible with one another. This handy device makes it easy for you to watch your display with beautiful picture quality, supporting a resolution of up to 1080p. Made recently by Retrogamingcables in the UK. Ideally, these should be used with these consoles that have been modded for RGB. - Consoles which use an 8 pin DIN socket (circular). 8 Pin DIN plug (looking in to back of connector). No Driver Required, No Delay. Support Super Smash Bros. (Ultimate) on Switch and Wii U. Switch to "Wii U" or "PC" mode by using the switch located on the side. OFFICIAL ORIGINAL NEC PC Engine AC POWER ADAPTER PAD-105 91-31373 DC 9V 650mA. NEVER USED BEFORE BUT THE AC ADAPTERS HAVE BEEN SITTING AROUND OUR WAREHOUSE FOR 15 YEARS SO THEY ARE A LITTLE DUSTY & DIRTY. Play what you want; sit where you want. Product Details. Plug into the back of the Turbografx 16 console and the other end to the back of the older tube style TV. Has been cleaned and tested, works perfectly.